In the film, newsreels 1919, including the Civil War: the Red Guards are on the streets of a town, there are explosions, shooting guns, galloping cavalry parade of the Red Army on / Red Square /. Sverdlov at a meeting of the CPC. Speech by Lenin at the funeral. Arrival of the Soviet delegation, headed by Trotsky at Brest-Litovsk peace negotiations: Trotsky out of the wagon train, next to which is a group of German officers. Trotsky out of the building. Trotsky in the group of the military. G.Zinoveva speech at an event of Soviet power. Speech by Lenin at the military parade on Red Square Vsevobuch. The film features pictures of the White Army generals during the Civil War in Russia: A.Kolchaka, A. Denikin, N.Yudenicha, E.Millera. 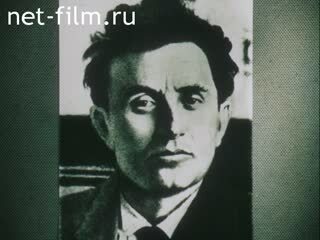 The film includes photos of the Red Army commanders and leaders of the Soviet state: I.Vatsetisa, Z.Peshkova, Ya. Sverdlova, V.Bonch-Bruyevich, Trotsky, Stalin, N.Krestovskogo, L.Kameneva, Bukharin, G.Zinoveva, M.Kalinin. The highest authorities and institutions. Civil War. Germany. Ground troops.